DiS is pleased to premiere the new video by This Is The Kit for the title track from her new album, Bashed Out. This Is The Kit is the project name for Brit-living-in-Paris, Kate Stables. Her forthcoming third longplayer was produced by The National's Aaron Dessner, and will be released on the Brassland label which he co-founded. The record features also the likes of Bryce Dessner and The Walkmen's Matt Barrick. I felt close to Kate's lyrics almost at once. Images started to appear to me: A room in a river. A man falling into water. The film El Topo. The wind blowing leaves. Kate told me that an inspiration had been Rudyard Kipling's The Crab that Played with the Sea. We built the room on a slipway in a morning with the tide coming in​ at the River Deben. The river has a powerful feeling of time and memory for me. We shot with the water coming into the room and as Ed Hirst got wetter and colder I felt it pushed his performance to a sort of limit. I wanted a crushed feeling. I knew his on screen presence would be very honest and kind of dark. He felt very right for the part. I think the song reaches into our pasts; how we are exposed to life. 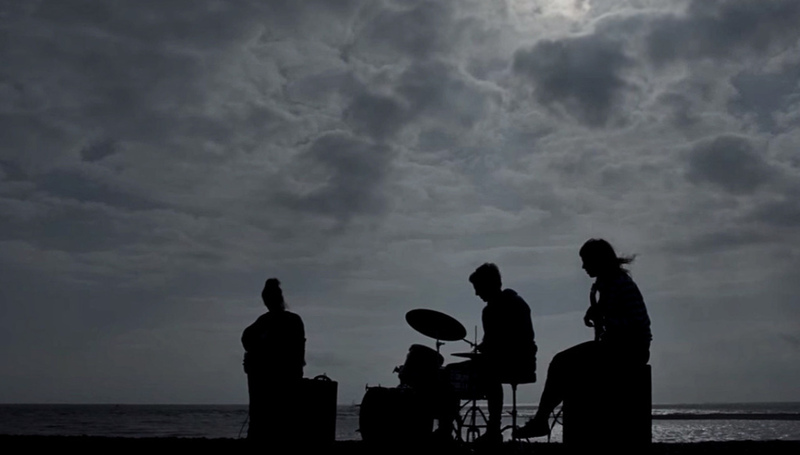 The shots of the band on the beach at dawn seemed a perfect counterpart. We rushed to get set up with the light changing second to second. We lit Kate​, Rozi & Jamie​ with a massive ​P​an​A​ura light. It has a slightly ethereal quality. Very soft. We shot in RAW so we couldn’t see any footage, really nerve wracking. It was a very special day. A lot of people helping for nothing. It brought us all together I think. That night we sat around Ben’s bonfire talking for ages. Sam is a great friend and excellent film maker. Everything he does (be it Chinese medicine, healing, film making, cooking or building houses) he totally does with complete dedication and professionalism. Plus he's just a total pleasure to be around and work with. The last shot with me, Rozi and Jamie going under water (a nod to a scene from El Topo) was extremely cold. We could only manage about three takes before our heads started to fall off. They built an actual room out side on the estuary so that it would fill up with the tide. Ed (the actor) was brilliant and a real trooper. I can't remember how many times he had to fall into the night time freezing water but it was definitely more times than anyone deserves. I'm an avid listener of stories on cassette and one of my favourites is the Just So stories read by Johnny Morris. Making this video we were thinking about the story of Pau Amma the Crab. In the times of the oldest magician when the world was so new and all, Pau Amma the giant king crab crept off and did not play the part he was supposed to play.... We all need to be a bit quieter sometimes. Looking and listening more. Less talking and telling. Bashed Out will be released on April 6th via Brassland. Pre-order your copy here.